Dougie Lampkin an English professional motorcycle endurocross rider said India is witnessing a growing culture for biking. Lampkin, was in Goa to attend the India Bike Week (IBW) said that the enthusiasm of participants at the juncture is a reflection of country's growing biking culture. It was an absolutely thrilling experience to have been a part of India Bike Week-2016. Goa is a beautiful place with beautiful people. 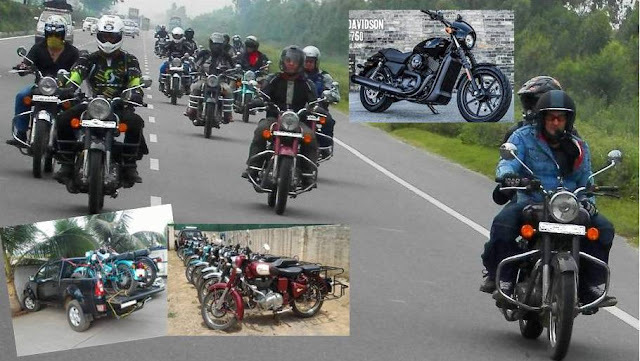 It was great to see so many motorcycling enthusiasts together and that truly reflected the growing culture for biking in India. Two-day event held at Arpora village in North Goa concluded yesterday which saw as many as 90 biking shows.